Hey Daredevilers! It’s Dan, the not oft heard from member of the ThreeOneFive. But I’m breaking my silence today to bring word of our new members area! The LOYAL ORDER OF DAREDEVILERS is a member experience unlike anything I’ve seen offered by other web comics. The first of our many planned features is available TODAY in the way of an online Decoder Ring. 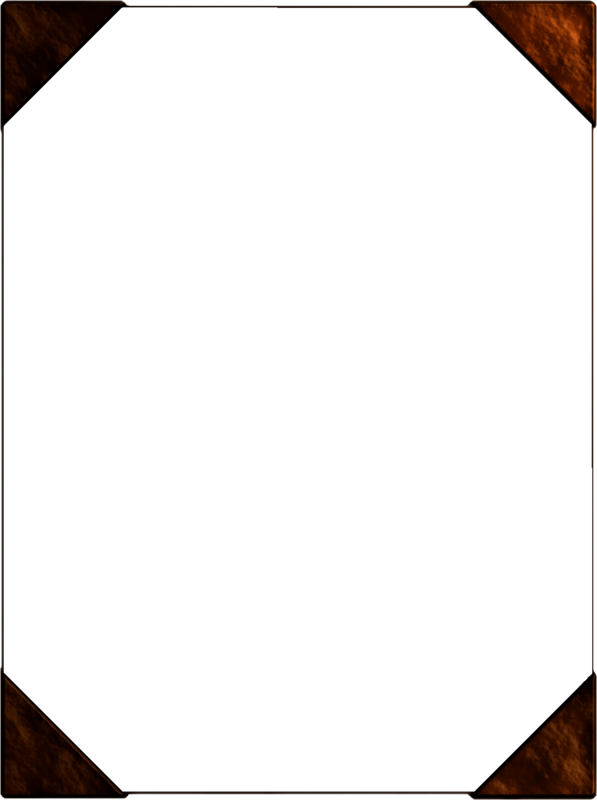 Below is a code which will get you a SNEAK PEAK of the next Deep Dive Daredevil adventure; PITCH BLACK DAY! Only members get this privilege and everyone else has two wait two more excruciating weeks. 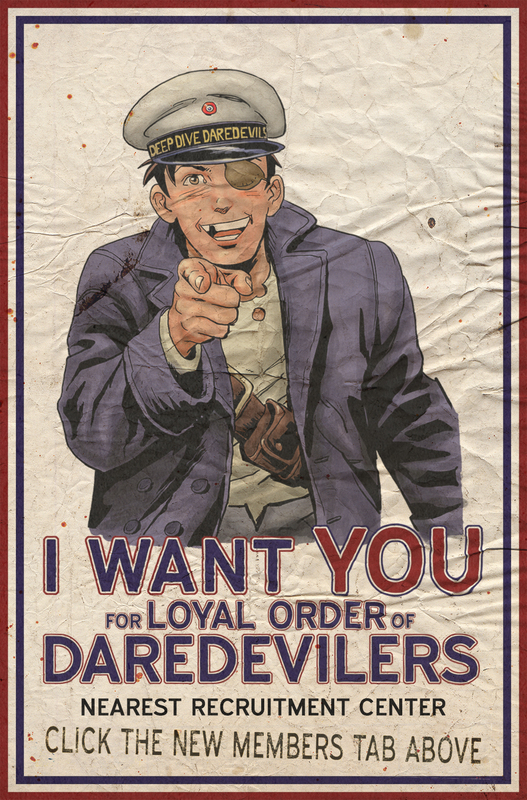 So go SWEAR YOUR OATH and join the Loyal Order of Daredevils today! Now a couple of notes about the new area: First and foremost, it is 100% free. All we ask is that you register. We will NEVER sell your information or spam your email. We’ve provided an opt out from emails, but you might MISS OUT if there is ever any BIG DAREDEVILS NEWS! Now for disclaimers: The new area is designed for and tested with modern browsers. Update your browser if you see any issues. Also, I’m still learning PHP, the language the new site is designed in. Hopefully everything works, there are no bugs, and I can consider myself a web-god among mere web-men. But in all likelihood you will run into some weirdness. Email me at admin@deepdivedaredevils.com if you see problems. Well, this is where Matt will generally tell you to RSS, LIKE, or FOLLOW us, so I won’t break with tradition. Also, make sure to check out Evin’s weekly edition of the SUNDAY BONUS LUNCH. He is always posting funny images, preview art, and insights into the strange place that is his brain. And of course, come back next week for the Cover of PITCH BLACK DAY! Well, I’m going to go back into silent mode again. But before I do I’d like to say a hearty thanks to our fans and especially to our new Loyal Order of Daredevils members! Oh, and make sure to check out our new Cast page also available as one of the tabs at the top of the page! Hey Daredevilers! 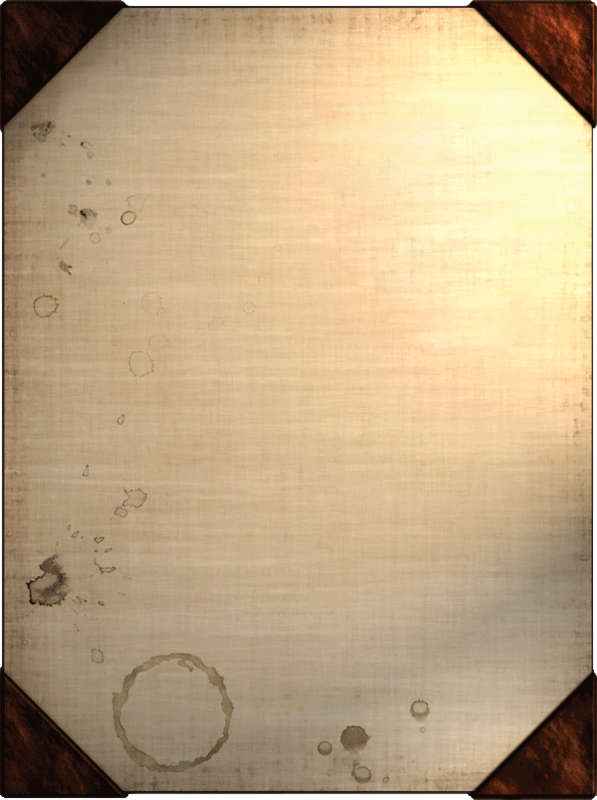 Here is your secret message! As this is the first week, I’m going to give you a hint: The background color of the symbol is the color decoder wheel you should use! Get Decoding! I’ve been enjoying your webcomic series for a while now, but just became a Member today. I love the Decoder Wheel and thank you for the early viewing of the strip by using the code. Awesome user interaction on the page, just plain AWESOME!! Thanks for the kind words, tmcelmurry. I’m glad you had fun with the decoder ring, and I can assure you there is A LOT more cool stuff on the horizon! Does this mean you can Court Marshall me when I’m a smart@$$? Always looking forward to more of the Custer and her Crew! Darn right it does, sailor! Sgt Howard reporting for duty Sir- I have my own issue and TA 55, appropriate for temperate, jungle and desert operations… but you will NOT let Twitchy get into any of the red boxes! There’s enough RDX, TORPEX, C-4, Dupont #12, Detcord and cordite there to scare some sensibilities into North Korea and their Pillsbury Doughboy leader. Do NOT have cold climate training or gear, but can learn. Rated 97% effective at 1000 meters with Barret in .50BMG, rappel and ‘chut wings a given- my 201 will be forwarded, along with letters from previouse commands (and a write-up regarding that incident with the POW camp in Iran). There has been no… “civilian drinking establishment incidents”… since I sobered up eleven years ago. Last ‘unfortunate situation” was September 25th, 2008 in San Fransisco- that was proven to be ‘self defense’. Both fellows had a long list of priors, one with outstanding warrents. Regarding ‘anger management’ issues- all three ex-wives are still alive. All your qualifications seems to be in order, and I can always use a man with valuable experience. Good to have you on board, Old Sgt.